The New Year often provides some added motivation to get active, with many people deciding to get back into running, or sign up to a Couch 2 5k training plan. One way to get into running again is by joining or forming your own Workplace Running Group. These groups provide employees and friends with the opportunity to utilise break times during their day or meet up before / after work and exercise together in an environment they’re comfortable with. One Workplace Running Group that’s thrived since forming last year is the Companies House running group in Cardiff. Driven by group leader Michelle Amblin and supported by Run Wales Activator for South East Wales, Hannah Phillips, the group went from strength to strength as they rolled out their “Companies House to 5k” programme. 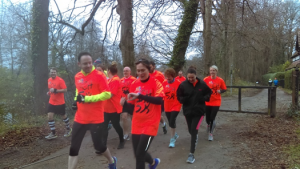 Fast forward five weeks, and the group were making real progress – running for 20 minutes together through Bute Park and building themselves up for their Companies House to 5k Graduation! “Everyone within the group worked so hard to complete the programme and continue beyond that. The whole journey has been made easier due to the enthusiasm and encouragement from all our helpers.” And so, the group, took their final steps on the “CH to 5k” programme by completing the Cardiff parkrun – the smiles on their faces at the end say it all! 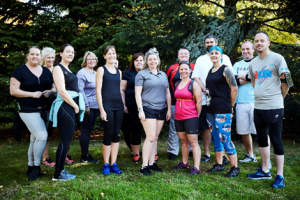 The Companies House Workplace Running Group are a brilliant example of how to incorporate running and physical activity into the workplace environment. The group’s success even inspired their colleagues at the London and Edinburgh offices to get involved, with the Edinburgh office following suit and setting up their own CH to 5k group too! If you’re interested in starting your own Workplace Running Group, you can find more information here. Do you have a positive story to share with us about your workplace running experience? Get in touch!